The Dry Back booth is recommended where the paint overspray volumes are low e.g job coating. Paint testing. 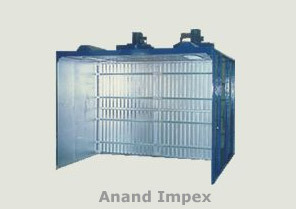 This booth consists of a sheet metal enclosure divided into two sections by a divided wall which houses the paint arrestor filters. The front section forms the working chamber while the near section houses the exhaust blowers which ensures the proper air velocity in the working chamber as alos the exhaust of the inflammable solvent vapours. 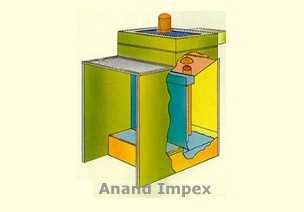 The heavier paint particles are deposited on the filter. 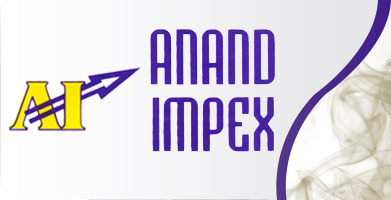 The deposited paint sludge is to be removed periodically. All booths are available in Batch / Conveyorised and Pressuirsation option. Side Draft Paint Booth is recommended where the paint consumption is low but the pollution control requirements call for wet type paint killing system. There is no pump for water circulation. The suction head of exhaust blower is used for lifting the water. During the process vigorous contact between paint and water added with chemicals leads to paint killing. The killed paint drops back into the tank and the clean air is exhausted to the atmosphere. All booths are available in Batch / Conveyorised and Pressurisation option. The booth is recommended for large production volumes. 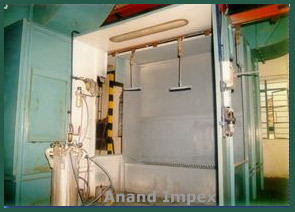 A pump draws water from the base tank and carries it to the overhead, overflow tank from where the water flows along the rear wall / guide plate thus keeping rear wall clean, reducing bounce back, improving spray booth atmosphere, enhancing the paint killing efficiency and reducing maintenance. A whirl plate provided at the base of this water wall throughly mix the paint particles with the booth water ensuring excellent paint killing. The Down Draft liquid paint booth is recommended for painting of large articles which are to be painted from all sides but can not be rotated easily, e.g. tractors, bus bodies etc. The air is sucked from the top of the spray chamber. 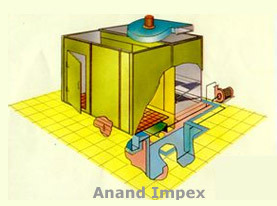 The fllor of the working area is made is made of a grill below which the ater tank with whirl plate is placed. The arrester plates and the blower are housed on the suitable side of the spray chamber. Suction air filters can be mounted on the top of the spray chamber. 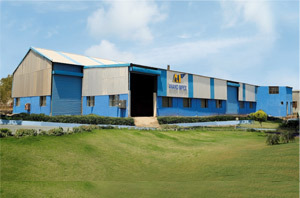 All booths are availble in Batch / Conveyorised and Pressurisation option.